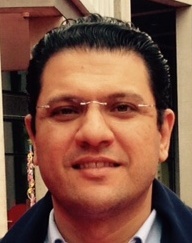 Dr. Amine Abi Aad is an assistant professor of management. He holds a PhD in Management from the University of Alabama, an MBA and a BE in Industrial Engineering. He has been a member of the Academy of Management since 2010 and of the Southern Management Association since 2011. He is an official Affiliate with the Microeconomics of Competitiveness Network, under the leadership of Professor Michael Porter, in the Institute of Strategy and Competitiveness at Harvard Business School. European Academy of Management (EURAM). Ramsey, J. R., Barakat, L., & Abi Aad, A. (2014). Commitment to the study of International Business and Cultural Intelligence: A Multilevel Model. Journal of Teaching in International Business, 25 (4), 267. Ramsey, J.R., Barakat, L., Abi Aad, A., Drummond, V. (2012, October). Emergence of Cultural Intelligence and Global Mindset Capital: A Multilevel Model. Paper presented at the 10th Workshop of International Strategy and Cross Cultural Management, Reykjavik, Iceland. Ramsey, J.R. & Abi Aad, A. (2012, October). Cultural Intelligence and Global Mindset: Similarities, Differences and an Application within the Entrepreneurial Context. Paper presented at the Southern Management Association, Ft. Lauderdale, Florida, USA. Ramsey, J.R., Abi Aad, A. & Barakat, L. (2012, July). Emergence of Cultural Intelligence and Global Mindset Capital: A Multilevel Model. Paper presented at the Academy of International Business, Washington DC, USA.